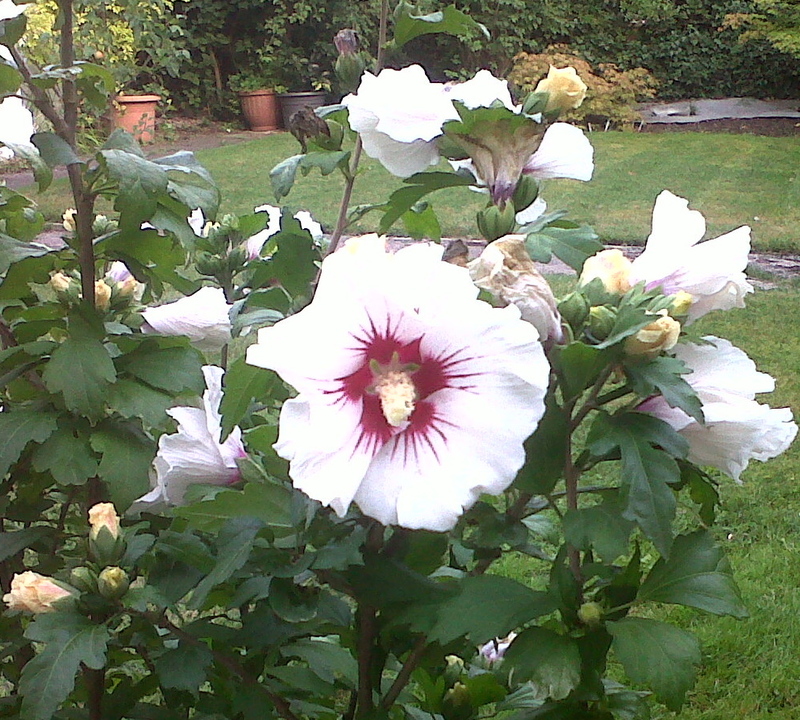 Three to four years ago we planted a small hibiscus hedge. Each year the plants have struggled and flower buds have dropped off or never formed. 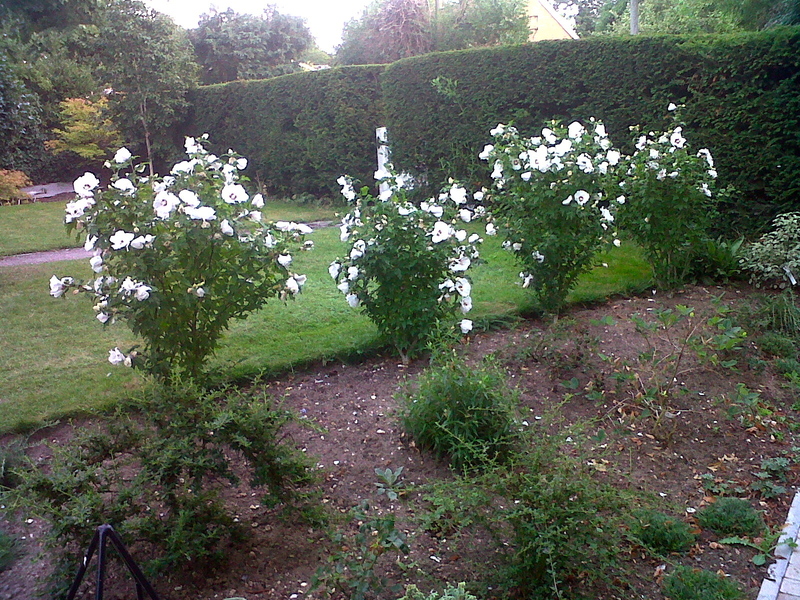 This year, after gaining a bed beside it, and some extra sunshine, it has decided to give us a splendid show and is beginning to look like a hedge. 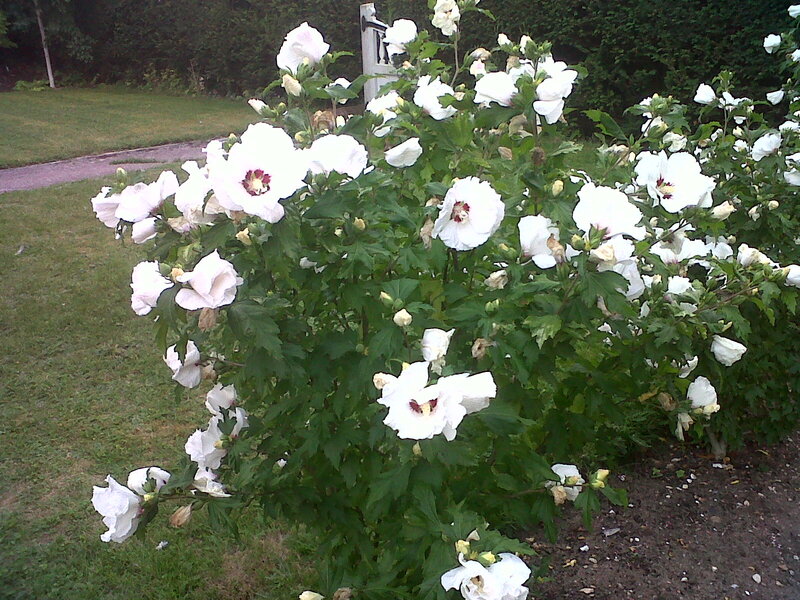 This entry was posted in Gardens and tagged Hibiscus syriacus Hamabo by hilarycustancegreen. Bookmark the permalink. Lovely Hibiscus. Did not know that they could be grown in the UK. I love that hedge, is it Box or Privet? You have a lovely garden. Is there a hint of Autumn? Yes, they are very happy here – if well treated. The hedge is good old yew, it is about a 100 years old now, we’ve been here for 35 of them. And you are right, although it is August it is feeling distinctly autumnal. I don’t know if it is age or imagination, but it seems to me that autumn arrives earlier each year. My thumb is chameleon coloured. The great thing about a garden is that failures don’t matter too much, you can always try something else. Though I would hate to add up all the plants I have failed along the way. haha, you and me both!